GS Windows are a premium manufacturer, supplier and installer of Rehau 70mm Windows, Doors & Conservatories & Smarts Aluminium Windows & Doors. With over 30 years of experience in this industry we pride ourselves on understanding what the customer wants and delivering. We supply to and install for the domestic, commercial and trade markets and have undertaken work for various local councils and larger organisations. We are a Fensa registered company. 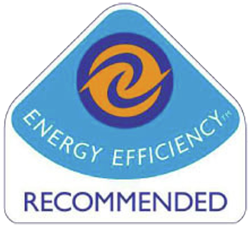 Fensa are the industry standard for replacement Windows and Doors – trusted by consumers and local authorities. We are also members of The Plastic Window Federation and Checkatrade.com. We encourage our customers to visit these websites to see the feedback our customers have left us, don’t just take our word for it! 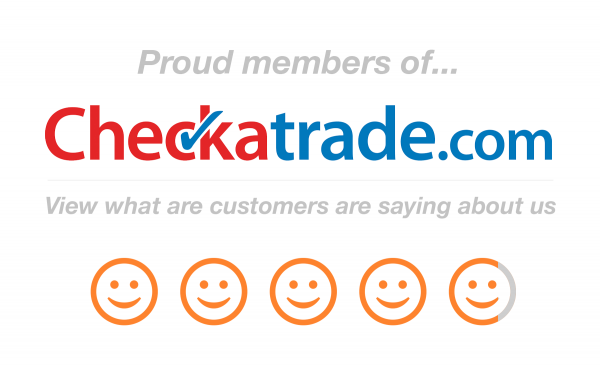 All Checkatrade members are thoroughly vetted before they are displayed on our website. Over the years our vetting requirements have been improved and adapted to keep up with government legislation and current laws as well to keep up with our own continuously raising standards. On each of our members’ pages you will be able to see exactly which checks have been carried out and passed. All our windows are made to order in a variety of styles and colours to suit your personal tastes and requirements. Our experts will work with you to find a style that suits your home. A stunning range of high-quality doors available in your choice of colour and style to transform your home. We’re here to help you find the colour and style that suits your personal taste. Our conservatories and orangeries are expertly engineered and tailored to your individual requirements. We’ll help you design a bright, relaxing space to extend space within your home. Bring the outside in for a seamless experience with your garden. Our experts are here to help you design a solution to suit your budget. We have over 25 years’ experience manufacturing, designing and installing windows, doors and conservatries to meet the needs of our customers in Hampshire and Dorset. Our engineers and installers are all trained to the highest standard and are passionate about delivering an exceptional service to our customers. Please give us a call if you are considering updating your property and would like advice with finding the right windows, doors, or conservatory or Orangery for your home. We’d love to hear from you.